i downloaded this file "Adobe Photoshop CC 2019 v20.0.0 Multilingual ]" and followed all the instructions and when i try to open the program i just get a loading symbol that never loads. just a constant spinning loading symbol. what is the oem.exe files purpose? also what are these folders in the extracted main folder called : packages, products and resources. am i supposed to do something with these or are they purely for the installation to run and are no longer needed once the installation is complete? so i found there is two directories that need the crack file copied to. Yeah, I renamed Program Files\Adobe\ Adobe Photoshop CC 2019\Photoshop to Photoshop_orig.txt (changed extension just so it doesn't do anything) and put it in the Crack folder to move it out of the way. 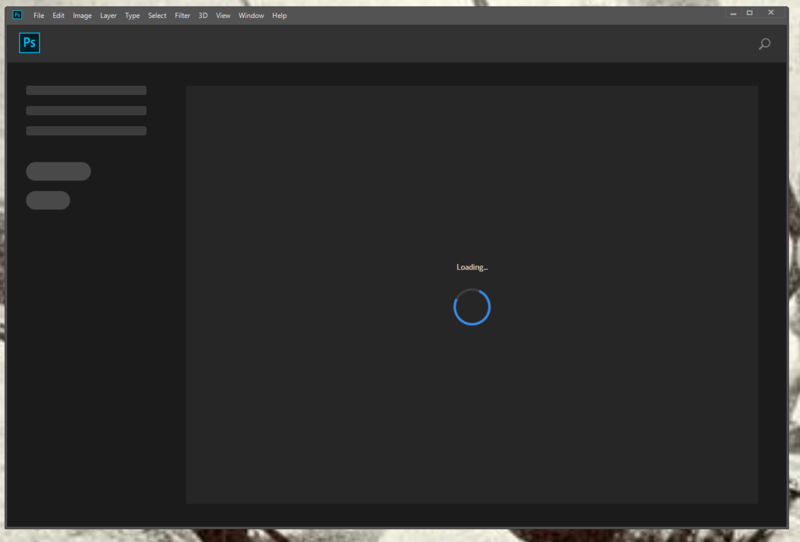 After putting the Cracked "Photoshop" Application file into ...\Adobe Photoshop CC 2019 and started it from there, I too get the loading screen but still can create a new project and start working fine. I removed the CRACK folder from Program Files (x86) since it had no Photoshop folder and it works fine. To remove that loading screen, I went to Preferences, General and selected "Disable the Home Screen" and "Use Legacy New Document Interface" and it looks good.